Explanation: In one of the brightest parts of the Milky Way lies a nebula where some of the oddest things occur. 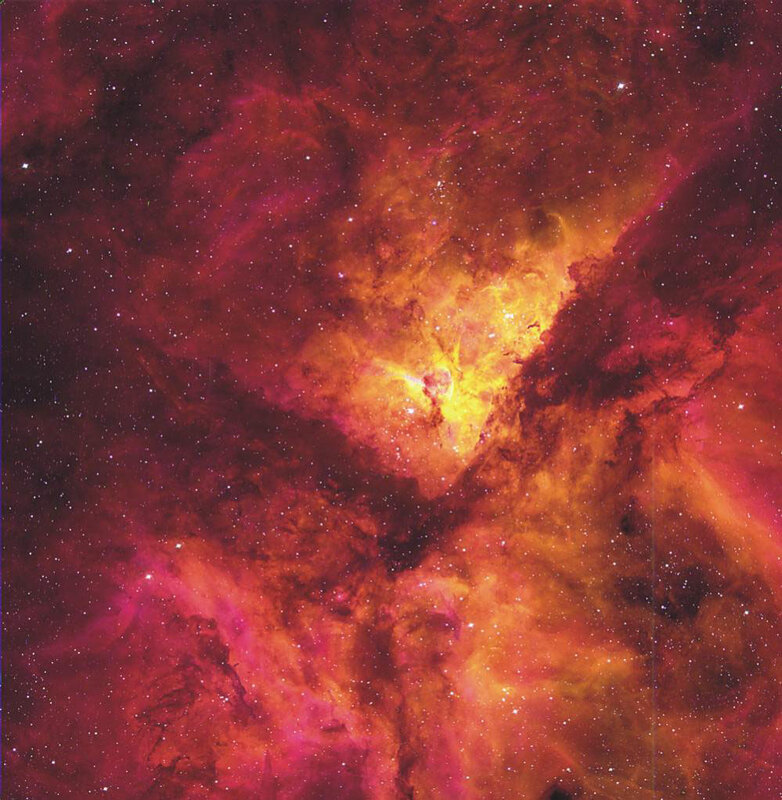 NGC 3372, known as the Great Nebula in Carina, is home to massive stars and changing nebula. Eta Carina, the most energetic star in the nebula was one of the brightest stars in the sky in the 1830s, but then faded dramatically. 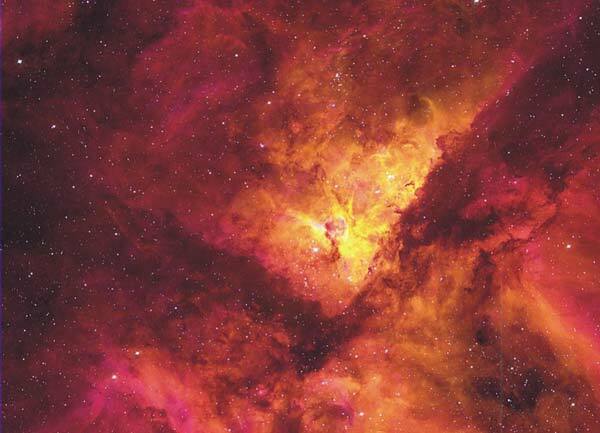 The Keyhole Nebula, visible near the center, houses several of the most massive stars known and has also changed its appearance. The Carina Nebula is about 7000 light-years away in the constellation of Carina. The CTIO Curtis-Schmidt Telescope in Chile, South America took the above photograph. Eta Carina might explode in a dramatic supernova within the next thousand years, and has even flared in brightness over just the past two years.